A great boxing gala in Pilsen. Bytyqi, Sedláčková, Schwarz and… Pála! 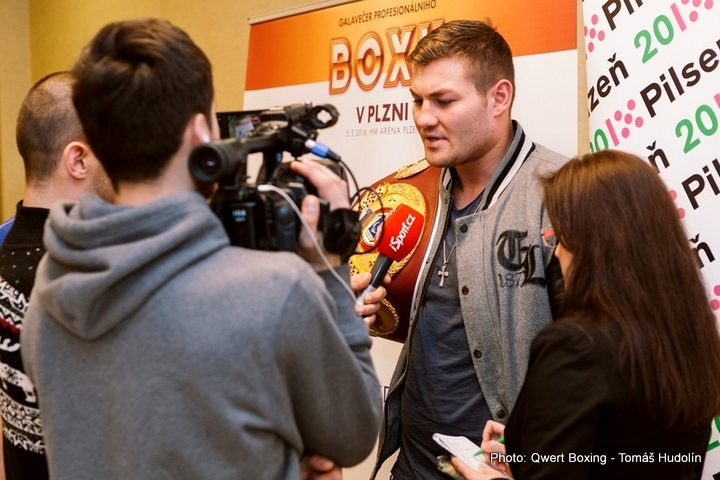 PILSEN – Three Czech boxers will fight for their titles on March 5 at HM Arena in Pilsen. 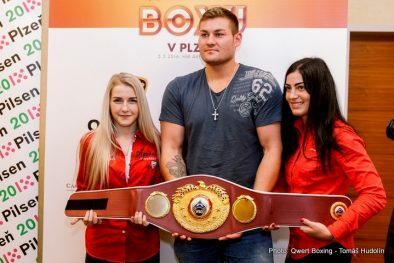 H Fabiana Bytyqi (6-0, 2 KO), Lucie Sedláčková (5-0-1, 2 KO) and Štěpán Horváth (15-5, 6 KO) will fight for European WBO titles in their division. But this is not all. The fans will have the opportunity to see eight fights. And one will be better than another. It’s been four years since the world-title fight took place in the Czech Republic. Lukáš Konečný won over the French Salim Larbih. And Lukáš Konečný now together with his stable SES Boxing and the Pilsen formation Qwert Boxing now organizes this event. 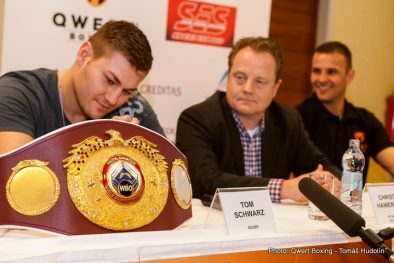 Beside three fighters mentioned above, a German talent Tom Schwarz (15-0, 10 KO), will defend his WBO junior world title. „It is great that my colleagues Michael Wallisch and Franceco Pianetu are in my stable but I think that it is me who is the best heavyweight in the stage. And within two years I would like to be the best in the world,“ a twenty-one-year-old bloke for whom the local beer is the reason why he likes Pilsen. „It is the only Czech word I know,“ smiled Schwarz. He won’t be the only one interesting for fans of heavyweight division. The former Czech number one, Ondřej Pála (33-5, 23 KO), will return to the ring for the exhibition with the British Danny Williams (48-25, 36 KO). The planned fight against Pavel Šour is impossible to be held due to the rules of his amateur career. Josef Zahradník (1-0, 1 KO) from Pilsen or Sebastian Bytyqi (6-0, 6 KO), Fabiana’s younger brother, will be there as well. The eight fight will probably be Robert Stieglitz (48-5-1, 28 KO), a former world champion in super middleweight division who is now in light heavyweight division. „Robert has not been signed yet but he is the next great boxer. The event will be quite unusual for him as won’t be the main star,” said Lukáš Konečný. He hopes that the diversity of boxers and divisions will appeal to a wide range of fans. „I would like to thank you that you are here. I am really looking forward to this event. I surely be nervous but this is something I’ve been dreaming about my whole life. I am happy that I can already fulfill my dream,” added her partner from SES Team Czech Republic Bytyqi, who was apparently calmer. Konečný, as a true gentleman, answered the question about the growing nervousness: „The are likely to be nervous but the girls have a perfect trainer who will support them, tell them some kind words and everything will be as it should be. „The card is now full. And I hope we will fill the whole capacity – that means eight thousand places,” added Konečný. “Starting today, the tickets are available. It they would have been sold by the end of the week, the event will be organized at Pilsen football stadium. But we want to be modest,” said Matouš Rajmont whose agency Hera is responsible for the course of the pompous event. The organization will not be easy. The cheapest tickets are available for 50 crowns, the most expensive for 200 crowns. All the tickets are available at Ticketportal: https://www.ticketportal.cz/event.aspx?ID=-159948.